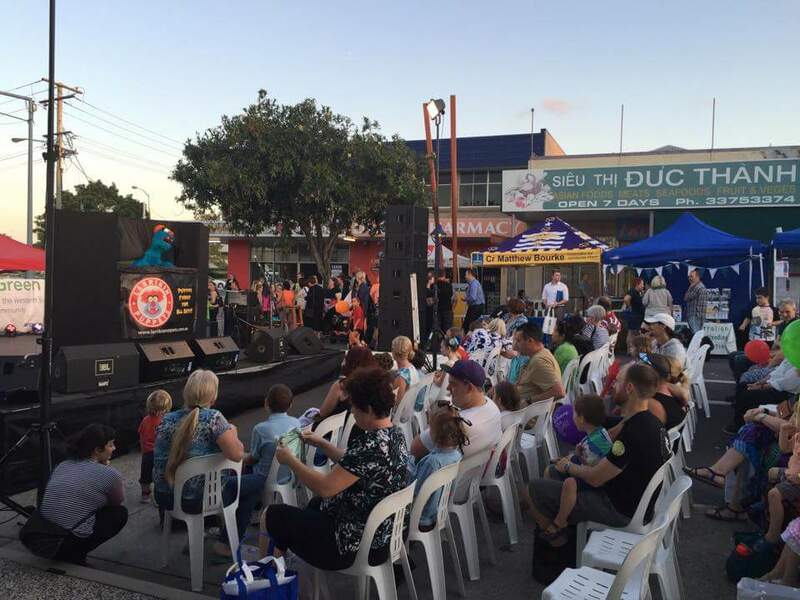 Larrikin Puppets were recently asked to perform for folks at the Probus Clubs of The Gap and Indooroopilly, The Gap Uniting Church Seniors Group and Jubilee Community Care in Indooroopilly. Everyone of the older generation who’s seen one of our shows realise that puppets are not just for kids. 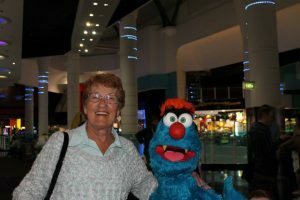 “My wife’s 96 year old grandmother absolutely loves Troggg”, says puppeteer Brett Hansen about his loveable blue monster character. “My adult puppet shows are clean, a little bit cheeky, but never blue or crass. And older people tend to love Troggg and his puppet friends from all accounts so far”. Brett has performed at a 60th birthday party as well. “Hi Brett! Just want to thank you for a great puppet show at my 60th birthday lunch last Sunday. Heaps of fun. Big surprise for my friends! They are still laughing and talking about it. We got some great pics of Troggg and Frizzby. Regards, Sue”. The puppet show itself, is a 30 minute variety show of songs, jokes/puns, skits and comical interaction with the audience. Our style of puppetry is inspired by The Muppets and Sesame Street. In fact, it’s rather like the variety show format of television’s ‘The Muppet Show‘ in the 1970s. 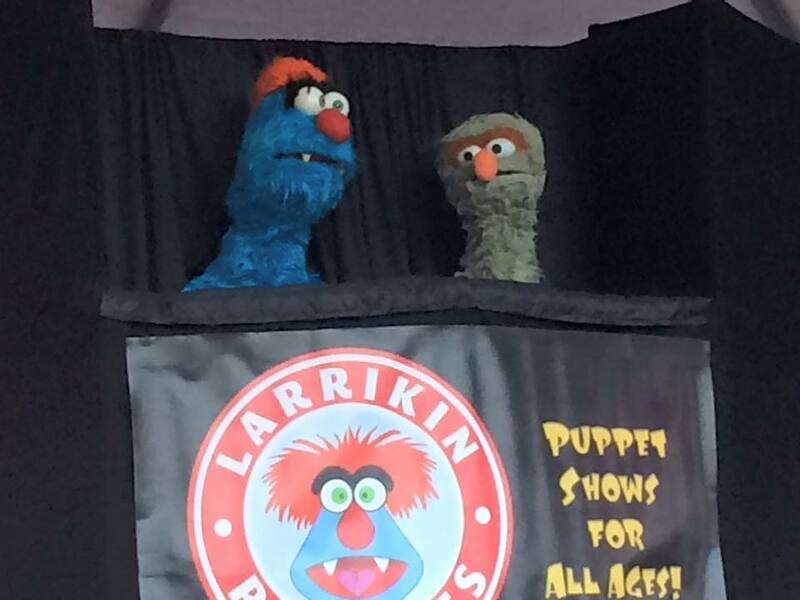 The puppet show is followed by a speaking presentation and Q&A session lasting up to 20 minutes. 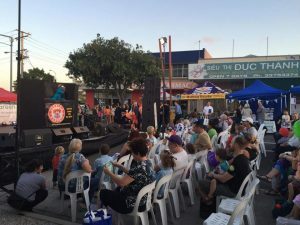 During this part of the session, Brett talks to the audience about how all of the puppets work, his lifetime of puppetry interest and performance, and how he came to start Larrikin Puppets as a business. People can also meet Troggg the blue monster and get their photo taken with him after the presentation. Non-Profit – $280 (e.g. Probus Clubs, Churches, Aged Care Facilities). Corporate – $350 (e.g. Retirement Villages, Aged Care Facilities). – 30 minute puppet show. – Speaking presentation + Q&A + meet-and-greet + photos (up to 20 minutes). – Time allowance for travel to and from, set-up and pack-up of the puppet stage, sound equipment, props, puppets. – Rehearsal time in the lead up to the event. Ask us about a puppet presentation for your Probus club or seniors group today!